Posted by Maggy Parries on Sep 13th, 2016 and filed under Allgemein, Automotive, Breaking News, Featured. You can follow any responses to this entry through the RSS 2.0. Both comments and pings are currently closed. BMW Group sales continued their long-standing upward trend in August with a total of 165,431 vehicles delivered to customers around the world, an increase of 5.7% on the same month last year. This result brings the year-to-date sales total to 1,508,659 – up 5.5% compared with the same period last year and the first time ever the company has sold over one and a half million vehicles in the first eight months of a year. “The BMW Group’s ongoing sales success across all our premium brands underlines the strength of our product line-up,” said Dr Ian Robertson, Member of the BMW AG Board of Management with responsibility for Sales and Marketing BMW. “Sales are increasing across the range and our electrified models are proving extremely popular – we’ve already sold more alternative drive vehicles this year than in the whole of 2015,” he continued. In August, a total of 142,554 BMW brand vehicles were delivered to customers, an increase of 5.0% on the same month last year. Year-to-date sales for the brand stand at 1,282,511 – up 5.5% compared with the first eight months of last year. The BMW X range continues to drive sales: with 16,612 units delivered worldwide in August, monthly sales of the BMW X1 doubled year-on-year; BMW X3 sales increased 29.7% (12,663); BMW X4 deliveries rose 10.6% (4,118) and BMW X5 sales climbed 9.9% with a total of 12,321 delivered to customers. Sales of the BMW 7 Series in August more than tripled compared with the same month last year – over 5,000 of the all-new flagship vehicle were delivered to customers around the world in the month. 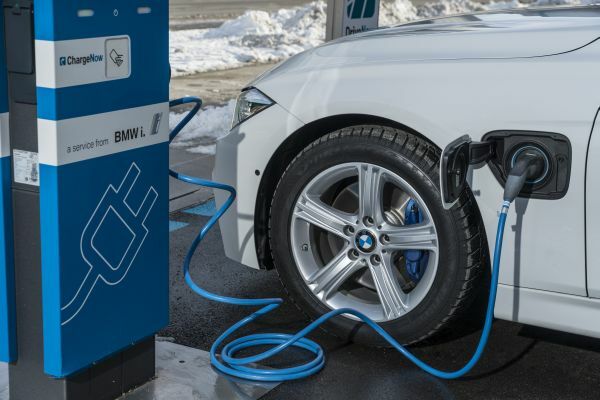 Sales of BMW’s electrified models remain strong, especially in Europe. Combined global sales of BMW i and BMW iPerformance vehicles are already higher than the 2015 total with 34,664 electrified vehicles delivered to customers so far this year. Of this, 17,809 were BMW iPerformance vehicles and 16,855 were BMW i vehicles. The BMW i3, which in July launched an additional model with significantly increased electric range, was delivered to 2,848 customers worldwide in August, an increase of 73.2% compared with the same month last year. Sales of MINI brand vehicles increased by 10.3% in August with a total of 22,575 delivered to customers worldwide. In the first eight months of the year, sales rose by 5.7% (223,913). The premium brand’s biggest growth drivers are the MINI Clubman, with 36,687 sold worldwide so far this year, and the new MINI Convertible – which achieved sales growth of 148.0% in August (2,153). Combined monthly sales of BMW and MINI in Europe totalled 62,653 in August, up 6.3% compared with the same month last year. Year-to-date sales in the region are up 10.1% with a total of 685,328 vehicles delivered. All markets in the region have contributed to this year’s strong growth with many achieving double-digit growth including Italy (51,444 / +16.7%), Spain (35,634 / +20.1%) and Scandinavia (34,370 / +15.5%). Sales of BMW and MINI vehicles in Asia also saw strong growth last month with a total of 59,047 vehicles delivered to customers in August (+13.8%). In the first eight months of the year, a total of 476,777 BMW and MINI vehicles were sold in Asia, an increase of 8.1% compared with the same period last year. The region’s biggest market, Mainland China, achieved a 9.4% increase compared with the first eight months of last year, with a total of 329,972 vehicles sold so far this year. Year-to-date sales in many other markets in the region also show strong growth – Japan (46,713 / +8.8%) and South Korea (39,392 / +10.4%) are just two examples. Sales of BMW and MINI in the Americas decreased 4.4% in August compared with the same month last year, with a total of 38,200 vehicles delivered to customers in the region. Year-to-date sales of BMW and MINI vehicles in the region total 298,821, which is down 7.0% compared with the same period last year. While August sales are up in Canada (3,575 / +8.0%) and Mexico (2,976 / +25.5%), the increasingly competitive market in the USA has seen deliveries for the month decrease by 7.2% (30,500). This year continues to be the best ever for BMW Motorrad, with August sales up 5.7% compared with the same month last year (9,238) and year-to-date sales rising by 2.5% with a total of 103,829 motorcycles and maxi-scooters were delivered to customers in the first eight months of the year.